2024: Two terms of the Trump-Sanders administration have left global finance in disarray. Income inequality has skyrocketed, while ever more stringent emissions regulations have severely hamstrung the ultrarich in their unquenchable desire for the low-risk, high-return shares in uninhabited urban real estate. Simply put, emissions-adjusted construction costs now outpace investment returns in the most obscene high-rise developments. All the while, the pleasures of the city slip further from the grasp of its full-time residents. 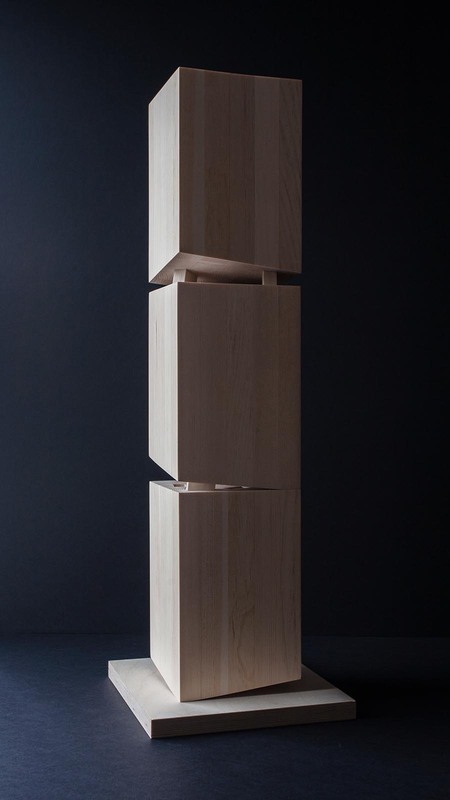 Spekulatius is a solid timber tower in which the volume is subdivided into condo shares that double as carbon offsets. In contrast to the gleaming steel and glass constructions that we are accustomed to seeing, this tower functions as a carbon sink by virtue of the carbon dioxide absorbed by the trees that supply its structure. As long as the condos remain uninhabited (that is to say, solid), their status as investment vehicle remains intact. Three observatory levels are cut through the tower and interconnected by a double promenade of circulation cores through the solid mass, creating new urban public spaces that operate as twenty-first century plazas: zones of relief from the economic determinism of the contemporary metropolis. Spekulatius was commissioned for 5 x 5 : Participatory Provocations organized and curated by the editors of CLOG.